WELCOME to “People’s Pick,” a new series that will run periodically on this blog. 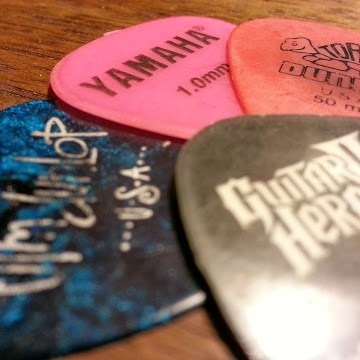 Each “pick” is an interview with a songwriter and guitarist popular with the public, her public, his fans, mostly from places I’ve met them in Connecticut or Rhode Island. But they come from everywhere, full of verve and insight into what it means to write a song, pluck a guitar, pound the ivories — and make a joyful noise. I’ve seen Sue perform in a number of southeastern Connecticut venues, from The Day’s Live Lunch Break to the Hygienic Art Park to Riverwalk, where she graciously invites transient artists (including yours truly) to step up to the mic and share her good vibes with a friendly Mystic audience. Here is her take on everything from what drives her to put pen to paper and the performer who has inspired her most to the best place to “kill it” on stage and her next big venture. PEOPLE’S PICK: Why do you write songs? SUE MENHART: I get a kick out of it. I find attempting to capture an emotion, or a story, like a movie – in a song, is quite fun. I really have no choice. I hear melodies and stories in my head all the time. I’m always surprised when people tell me they get it, or I’ve expressed exactly what they were feeling. PEOPLE’S PICK: What is your favorite live performance and what made it special? SUE MENHART: Any performance outside, on the back of a flatbed truck, is killer. Listening rooms with nice stages and lighting are cool too, but not as cool as the wind blowing my hair, and being as loud as I want. And I’ve been told I can be quite loud. PEOPLE’S PICK: “The Choice” has a melodic refrain, “I chose you well,” an obvious nod to husband/drummer/best friend Kevin Clark. One arrangement has piano as the lead instrument, while the other features acoustic guitar. Which instrumental voicing feels closest to revealing the tenderness of the message? SUE MENHART: Definitely piano. I wrote it on piano, because that’s how I heard it in my head. I perform it on acoustic guitar sometimes because I don’t always have a piano around! PEOPLE’S PICK: Your versatility extends to rocking bluesy numbers with your band and playing solo acoustic sets in the corners of local haunts. Do you intend to keep offering your fans both? Which style would you say most defines you? 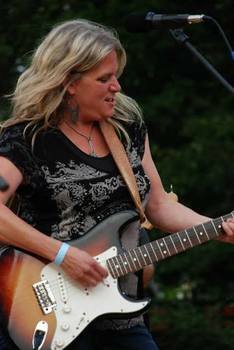 SUE MENHART: Playing with a band has always been my thing. I only started playing acoustic solo sets about 5 years ago, and did it just to see if I could do it. I started at open mics, because I was petrified. I will continue to do it – because I try out new songs that way, get feedback, and tweak them before bringing them to the band. PEOPLE’S PICK: You have deep connections in the southeastern Connecticut music community. Which collaborations do you enjoy the most? Do you have any plans to revive the Red Hot Stove Tops with Daphne Martin and Nancy Brossard Parent? Having a band is a collaboration in itself – everybody brings something to the table. Which reminds me, and which you bring up here, I have fond memories of sitting at a kitchen table, with one acoustic guitar, with Daphne and Nancy, working out 3-part harmonies to each of the songs any of us would bring. I remain hopeful that one day the Red Hot Stove Tops will return. PEOPLE’S PICK: The ballad, “Cigarettes, Whiskey and Wine” is haunting. Where did the story come from? http://powers.bandcamp.com/album/new-london-uncovered. So I think you should ask John Fries this question! PEOPLE’S PICK: Bruce Springsteen inspired you to write. Who else do you count as influences, and if you had to pick one as your guiding light musically, who would it be? SUE MENHART: Bonnie Raitt. I saw her at Bryant College when I was 19-years old, and stood four feet in front of her. She was incredibly cool, and looked like she was born to be on the stage with a guitar. My other huge influence was my middle school music teacher – Mr. Moody. He taught me, and so many others in Southeastern Connecticut, everything you need to know about music, and life. PEOPLE’S PICK: Do you have a chord progression or key that resonates most with you? SUE MENHART: A minor. I probably have too many songs in A minor lol. PEOPLE’S PICK: What song by another do you feel exemplifies what the best songwriting does, both melodically and lyrically? PEOPLE’S PICK: What is next on tap for you in the studio or on stage? SUE MENHART: The band and I are working on all new songs, which will comprise a live album – recorded in concert at a venue and at a date TBD. Early Spring 2014 I’m thinking. We’re striving for more insightful lyrics, unexpected chord changes, and Allman-Brothers-esque musicianship. Live shows for the rest of 2013 include: Dec. 10 – Margaritaville Mohegan Sun, Uncasville, CT – private party for Roxy FM 100.9 radio station contest winners and “Welcome Back Franco (the DJ).” Dec. 12 – Olde Mistick Village Art Cinemas, Mystic, CT – singing a few songs with bluesman James Montgomery as he opens for the legendary Johnny Winter. Dec. 14 – La Luna, Mystic, CT – Final Year End Blow-Out full band show. Great idea for a series of posts, Pat. Well done. I always enjoy reading about how other musicians approach songwriting. Thanks Mike! Looking forward to this, too, as there are many ways to approach crafting songs, especially on guitar.